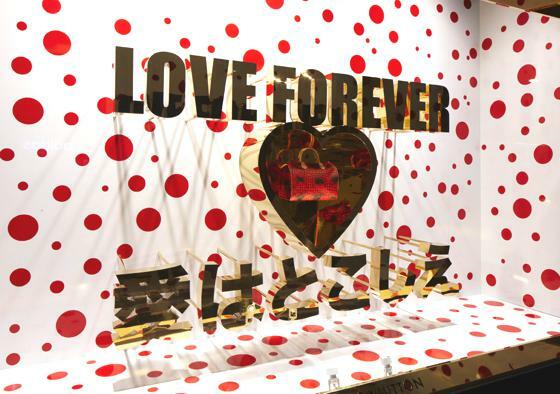 It's begun 24 August the collaboration between the famous japanese artist and the great english store Selfridges. 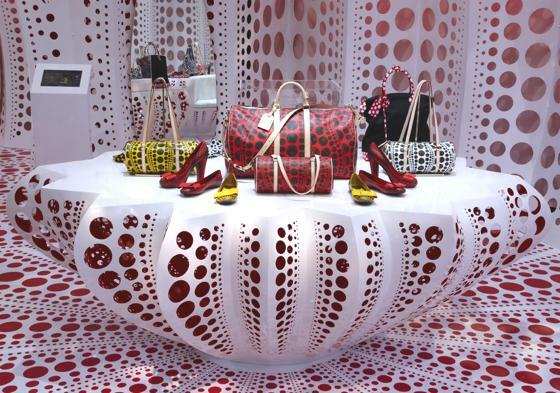 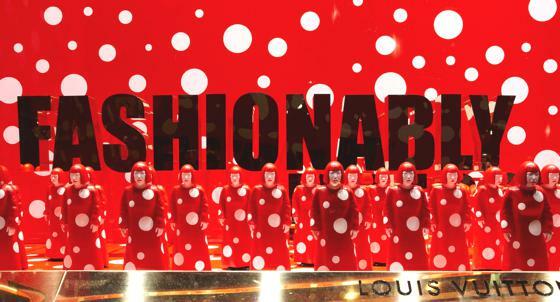 Yayoi Kusama has created in exclusive for Louis Vuitton a product collection with bags, shoes and suits, characterized by her classical polka dots from strong and bold colors. 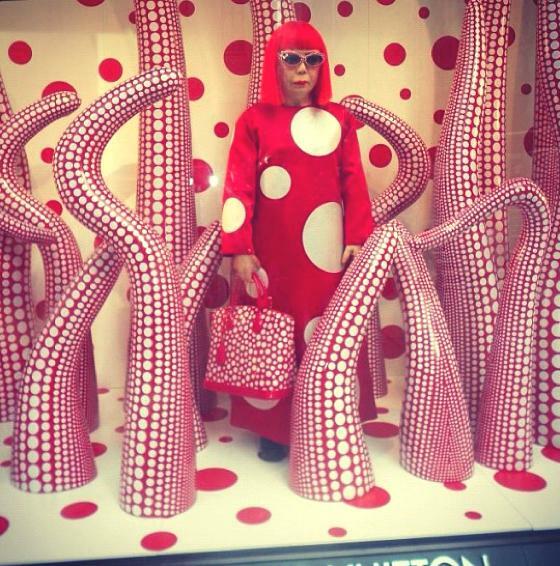 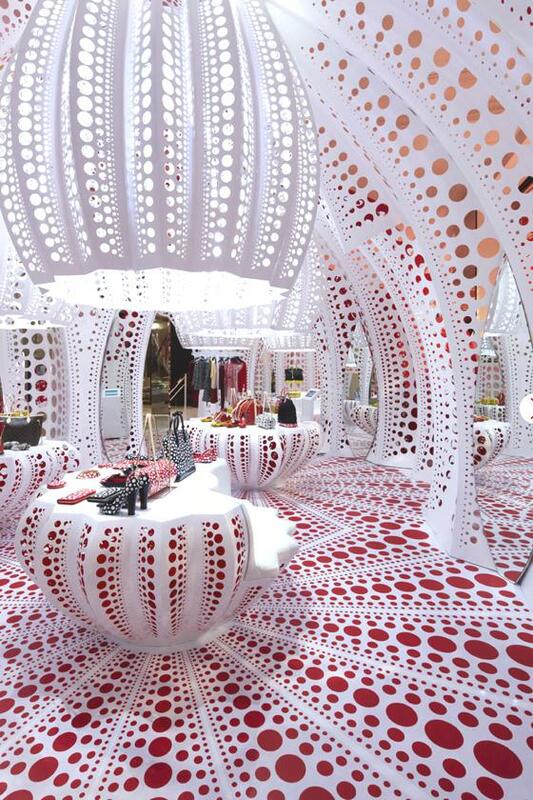 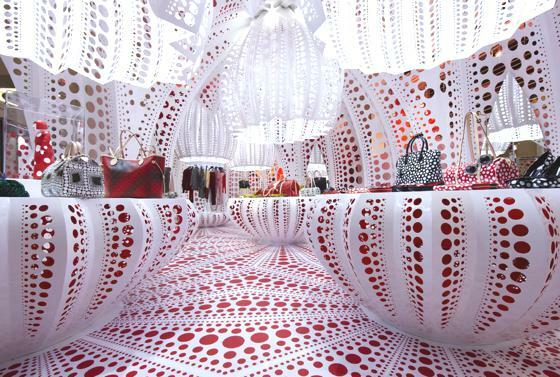 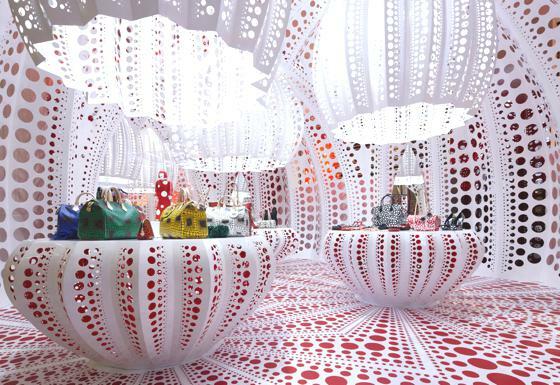 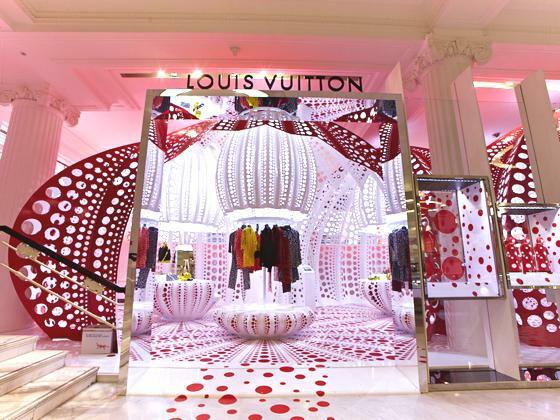 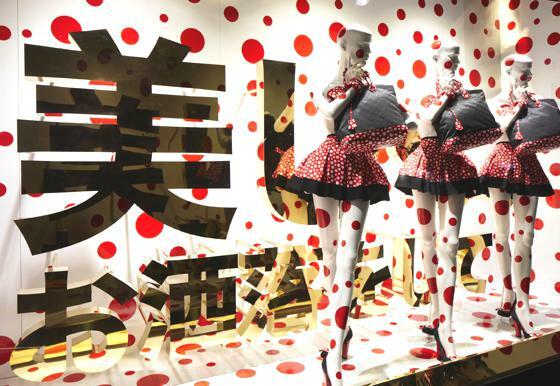 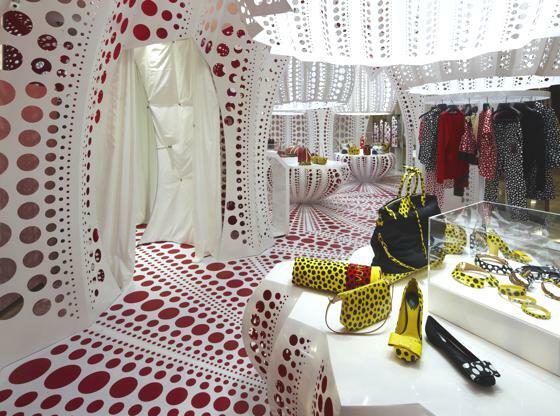 For this event, all shop-windows of Selfridges in Oxford Street have been designed by Kusama. 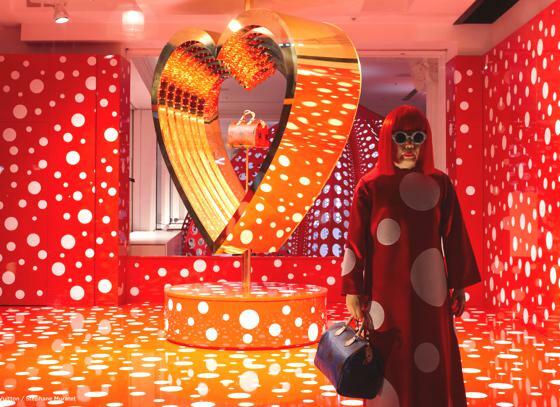 The Selfridges Concept Store will entirely be dedicated to this famous artist, full of giant pumpkins - another leit motif of her art - and, of course, decorated with polka dots.